Started with the assistance of small charges. Sachs Single cylinder 76cm3, 2.5cv, 2 stroke, Air cooled. On 1 August 1895, the Schweinfurter Präzisions-Kugellagerwerke Fichtel & Sachs, a partnership,was formed in the German town of Schweinfurt by 2 inventors Mr Ernest Sachs (1867-1932) and Karl Fitchtel. They produced ball bearings, bike hubs and associated components. Amongst its many inventions is the free wheel for bikes, of 1897,which proved very popular. The company grew, and by 1911, the year of Mr Fichtel’s death, had over 7 000 employees. In 1923 the partnership was then registered on the stock exchange and was bought by SKF (Swedish ball bearing company), keeping ball bearing production at Schweinfurt. 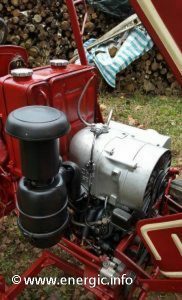 Key to the Energic range; Between 1929 to 1996, F&S produced a range of engines, initially for for bicycles, and later for motorbikes, snow mobiles and small cars. Ranging from small 2 strokes to diesel engines. 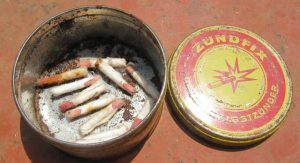 By 1929 they also produced a range of clutches and many auto components. 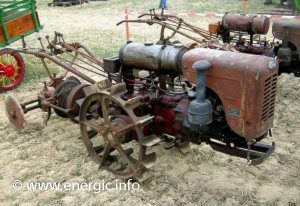 Ernst Sachs died in 1932 and was succeed in the company by his son Willy Sachs. During the 1960’s to the mid 1980’s, the company continued in bike parts for major bike manufacturers. And in the 1970 dabbled in producing a Wankel engined motorcycle for the manufacturer Hercules. In 1987, the German Mannesmann AG company bought the majority of F&S stock, and in 1997 F&S was renamed to Mannesmann Sachs AG. In 2001, Mannesmann Sachs AG.was purchased by ZF Friedrichshafen AG and renamed to ZF Sachs AG. The bike division was sold to the US- giant SRAM Corp. 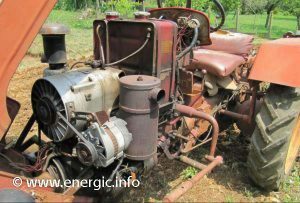 This left the Sachs division of ZF Sachs AG to concentrate on the production of auto components. ZF Sachs AG employed some 16 500 employees in 19 countries by 2011, with annual sales of 1.8 billion euros. In 2011 ZF Sachs was incorporated to ZF Friedrichshaften AG. 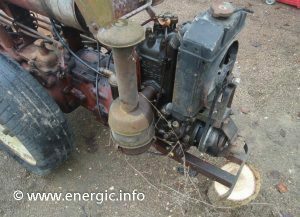 Read more about Energic tracteur 4RM12 using Sachs engine/moteurs here. 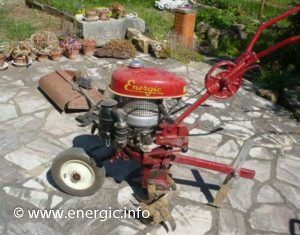 Read more about Energic Engine/Moteur supplier Cérès here.